We offer custom software development and consulting services to help you pull off your next project with less stress and less cost. Our team has the technology to power you at every stage of your product development lifecycle, from discovery to ongoing post-launch enhancement. MaitKon provides software development services for enterprises and technology providers, and often in the process, enables transformation by adopting modern Agile and DevOps practices for continuous software delivery. There is various software requirements that an organization might have that may not be catered to by any single, ready, available solution in the market. In such a case, it becomes important that a solution is specially designed and drafted keeping in mind the requirements of the customer. We have a dedicated team of software professionals, who constantly yearn to understand the dynamic needs of your project and organization thereby drafting the ideal solution for the same. Understanding the long term requirements and the projected requirements in a few years, everything needs to be well considered before developing your software so that it lends flexibility to your organization. We are result-driven at MaitKon and want to build a lasting partnership with you as we help you realize your unique ideas that will ultimately provide better value to your customers while differentiating your company in the competitive business world. 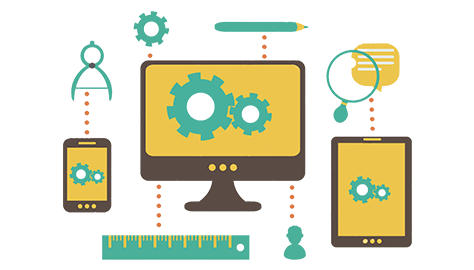 Our goal is to create custom applications that work optimally for your business. We leverage Traditional Agile and DevOps (Extended Agile) practices to help software delivery organizations support and amplify agility, responsiveness and faster time to market – key requirements for digital business transformation. 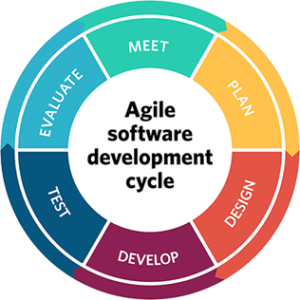 We leverage Traditional Agile practices combined with continuous integration (CI) on software development projects. For organizations looking to address continuous software delivery challenges, i.e. the strained downstream QA and Ops teams, we implement DevOps practices to extend agile practices by including infrastructure as code, configuration management, monitoring and metrics schemes, a toolchain approach, virtualization, containerization and cloud computing to leverage modern infrastructure. We have expertise in multiple platforms and developers with years of experience over varied domains ensuring trustworthiness and robustness of the software. We will thoroughly test it before we move into production, safeguarding the interests of your organization is supremely important. Enterprise applications are very important for smooth functioning of your organization, be it for your sales team or for your other key personnel. We have a highly qualified team of software developers who are well versed with all the latest advancements in technology to ensure that the application designed for you suits your needs. Our software development team is familiar with industry practices to ensure that your app is build to the level of scalability that your organization needs. We understand the budgetary restrictions that you might have and ensure that your application is built without stretching your purse. Most importantly, we test your application thoroughly before going for production so that our customers do not bear any glitches while using.